This summer I signed up for the Internet Baseball Writers Association of America, a group formed by Howard Cole of baseballsavvy.com. As the community of internet columnists and bloggers continues to expand rapidly, it is clear that these dedicated writers are just as keen about observing and analyzing the baseball scene as the mainstream members of the Baseball Writers' Association of America. The main difference is that the BBWAA members get to vote on the annual awards and the annual Hall of Fame election. The IWBAA was created in part to allow its members to partake in the fun of voting, providing an alternate voice (maybe even a consensus) to the BBWAA voters. The IWBAA vote was conducted in the same fashion as the BBWAA vote, concluding on the final day of the regular season. Our winners are being announced this week, as outlined in the press release put out yesterday by Howard Cole, excerpts of which are included below. Our choices look right on the money, and I say this not just because the four major award winners happen to be the four I picked (I did have different choices for the Rookies of the Year). I urge you to contact your favorite internet writers and get them to check out the IBWAA (contact information is at the bottom of the page). Being part of this group can benefit all of us, linking disparate voices in the wilderness to confirm that we really are paying close attention to the game we love. 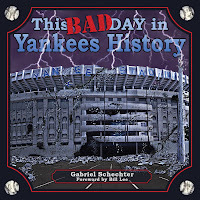 The IBWAA was created in July 4, 2009 by Howard Cole, editor of BaseballSavvy.com, to organize and promote the growing online baseball media, and to serve as an alternative voice to the Base Ball Writers Association of America (BBWAA). Association memberships are open to any and all Internet baseball writers, with a yearly fee of $20. Discounts for groups and scholarships are available. 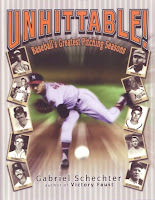 For more information on the IBWAA, please visit the temporary webpage here, http://www.baseballsavvy.com/internetbaseballwriters.html. 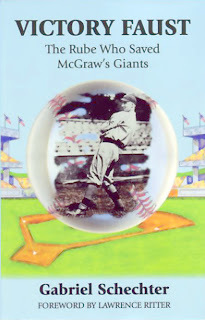 In the coming months, the IBWAA can be found at www.InternetBaseballWriters.com.